Many owners notice that their pets have bad breath. This odor is often due to tartar (and the corresponding bacteria in it) that has accumulated on the teeth. As tartar builds up on the teeth, bacteria start invading the gum tissue and roots of the teeth. The teeth deteriorate, and bacteria enters the blood stream. Once in the blood stream, bacteria can travel to other organs such as the heart, kidneys, and liver. This reduces organ function and can eventually lead to death. 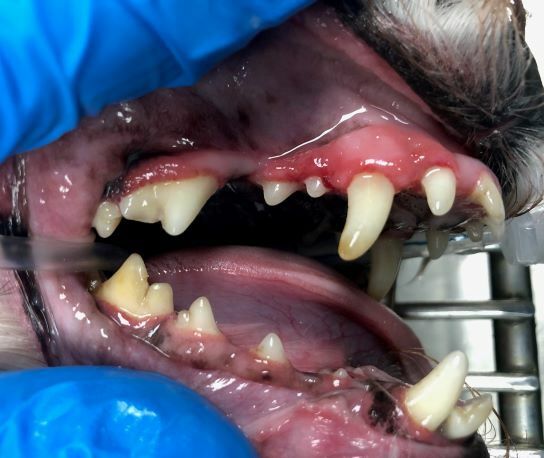 Regular dental care is essential to your pet's health. Toothbrushing, oral dental chews, and dental food can reduce plaque formation, but a professional dental cleaning is the only thing that will remove tartar from the teeth. 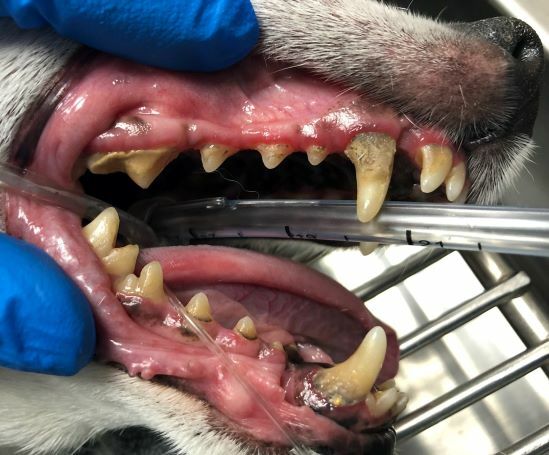 Most pets require a dental cleaning once a year. Please call us if you would like to schedule one for your pet or have questions about dental care. 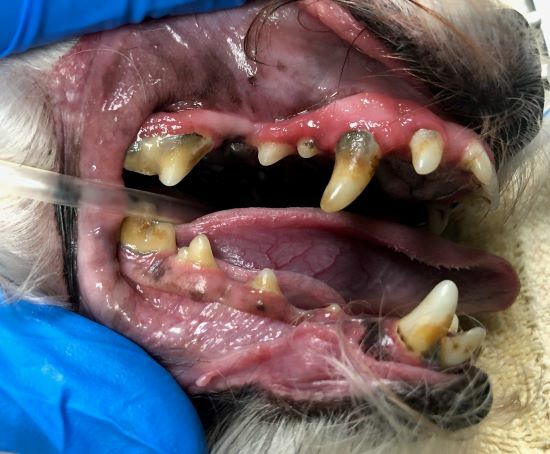 You can also visit http://www.VOHC.org to learn more about periodontal disease in pets and products that can reduce plaque. Below are pictures taken before and after dental cleanings. 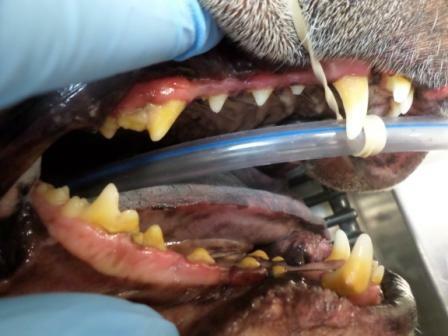 On the left are pictures of pets' teeth taken before being cleaned. 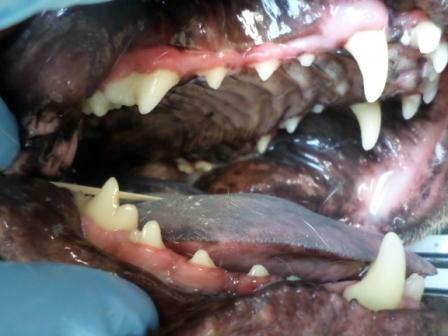 Tartar is visible as yellow and brown build-up on the teeth. 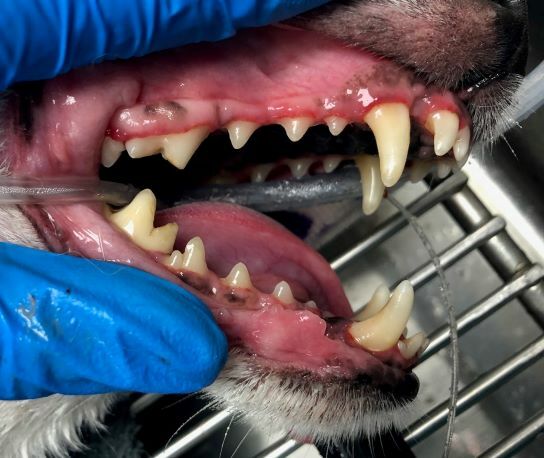 Pictures of the teeth after being cleaned are on the right.